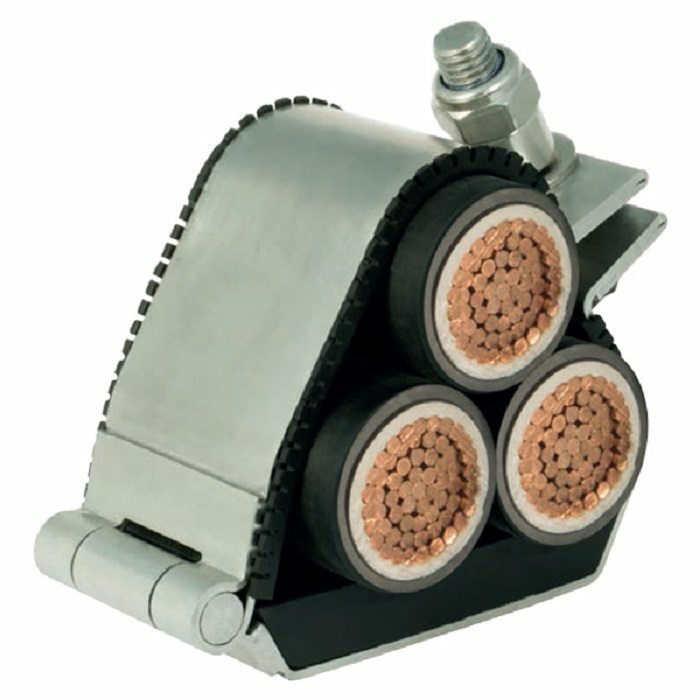 The Sovereign cable cleats are metallic cable cleats which have been designed, constructed, and tested in accordance with the International Standard ‘cable cleats for Electrical Installations’ IEC 61914. The Sovereign cable cleat has been designed and tested for high short circuit conditions on cables held in trefoil application / formation, to ensure the securing and retention of cables without damage. The range is fabricated from 316L stainless steel, giving it high creep strength whilst providing excellent corrosion resistance in the harshest of environments. 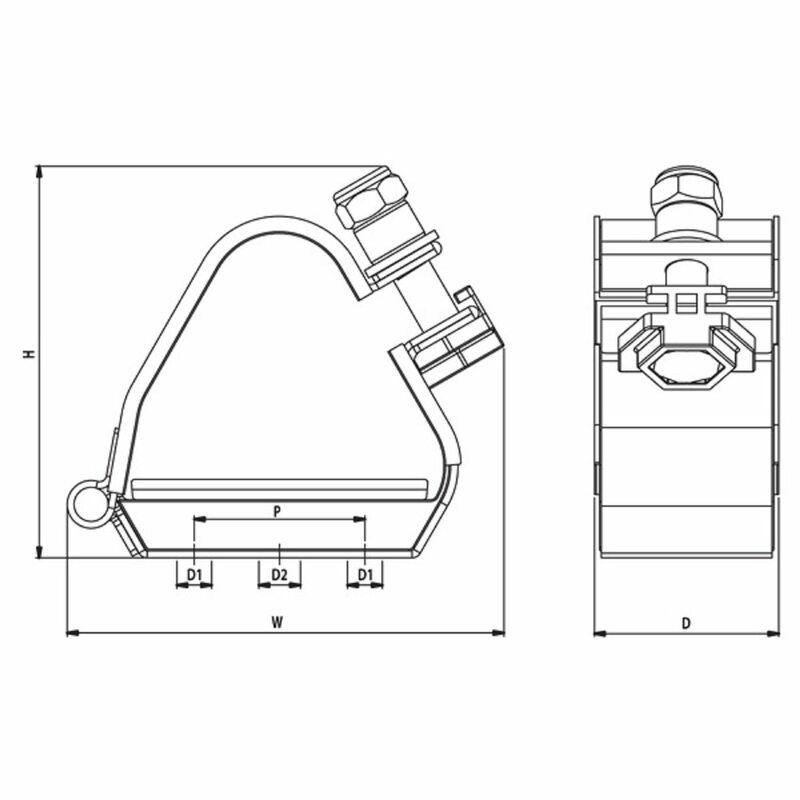 The Sovereign cable cleat is available for trefoil application/ formation for diameters of 17mm to 128mm in 24 sizes. The cleat has one M12 and two M10 fixing clearance holes within its base, allowing versatility to the installer during installation, and is designed to enable the product to be secured to a variety of mounting surfaces. The hinge opens fully, allowing the cables to be easily placed within the cable cleat, to aid the installer before closing and securing via the mouth piece bolt. Coatings are available upon request by adding the following suffixes to the ordering reference – EC for epoxy coating, PC for polyester coating and TC for thermoplastic coating. Example order reference for epoxy coating suffix EC (HDSS033038EC). Fasteners required to secure the cable cleat to the support structure are not included but can be supplied upon request. Isolation/separation pads (to prevent corrosion between two dissimilar metals) are not included but can be supplied on request - see isolation / seperation page.